1️⃣ No clear or consistent labeling for your account. 2️⃣ Running too many campaigns. 3️⃣ Not aligning your optimization goals with targeted audience. 4️⃣ Lack of hypothesis testing framework (or mindset). 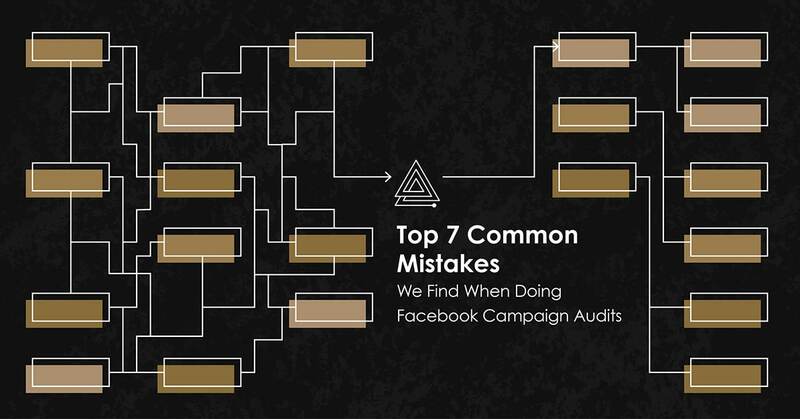 5️⃣ Throwing too many obstacles in the way of FB to properly optimize. 6️⃣ Mixing various Lookalike audiences in the same ad set. 7️⃣ Not uploading enough CRM data into the Audiences. 1. When are you cleaning out your closet? It’s a Mess! Common problem: Not having consistent and clear labeling for your account structure, campaign and ad set naming conventions. Why it’s important: Consistent and clear labeling helps account advertisers gain insights faster, make better decisions, pull better reports. 2. Are You Sure You Need 74 campaigns to make it work? Why it’s important: there is nothing bad about creating many campaigns for various markets, needs, promotions, flash sales, optimization objectives, countries. However, the common belief is that by creating more campaigns, one will be able to spend more money and thus drive more performance. How to fix: define clear KPIs for each funnel, start with 2-3 ad sets and try to scale them with your best audiences, minimize overlap in your audiences, try to keep creative relevant to the ad optimization goal and/or funnel. Introduce new tactics via split tests first. 3. So What is Your KPI really? Common problem: Not aligning your optimization goals with their targeted audience’ typical conversion funnel. Do you optimize for sales? Adds to cart? Video views? Blog post views? Or all of it at the same time. 4. Are you Testing or Just Guessing? Common problem: lack of hypothesis testing framework (or mindset) leads to a lot of wasted money and, as a result, missed opportunities. Firing the bullets before you fire from the cannon may be a smart strategy when testing new creative, audiences and placements. Why it’s important: to eliminate the guessing or those gut-driven decisions when numbers could dictate a more rational, grounded decision on what works and what doesn’t. Utilize split tests at the start of your new campaigns or when introducing new creative, experimenting with placements. How to fix: choose guided campaign creation flow and check the box “Split tests” on the campaign objective page. You’ll be able to choose your test variable on the next page (Creative, Placement, Bidding, and Multiple variables). 5. Stay relevant, Stay Consistent. Common problem: do you advertise a free guide in your link ads, but drive people to the home page with multiple product offerings, blog posts, videos and a FREE guide hiding at the bottom of the page? If you are trying to optimize for a particular event on the page, do not throw obstacles (read: content/links/offers/banners) in the way of FB to optimize for the one event you want most. Why it’s important: ad relevance impacts costs, but the user experience after clicking through ads impacts conversion numbers and your KPI metrics. How to fix: utilize focused landing pages with a single conversion event per page. This event should be tied to your Facebook campaign’s objective. If you send traffic to a lead form, then only have a single lead form on the dedicated page so a user could have minimum “distractions” and maximum conversion rate from visiting a page to completing a lead form. A good idea is to include your destination URL identifier or name in the ad creative naming. This will help you to easily understand which landing pages convert traffic better. 6. Don’t Mix Lookalike Audiences. They Don’t Taste That Great Together. Common problem: Mixing various Lookalike audiences (created off of same or different sources) and using them as inclusion targeting in the same ad set. Why it’s important: lookalike audience is in itself a complete prototype of your seed audience. Facebook will have a harder time understanding who you really are after when you include more than one lookalike in your targeting. How to fix: Split multiple lookalike audiences across the ad sets. 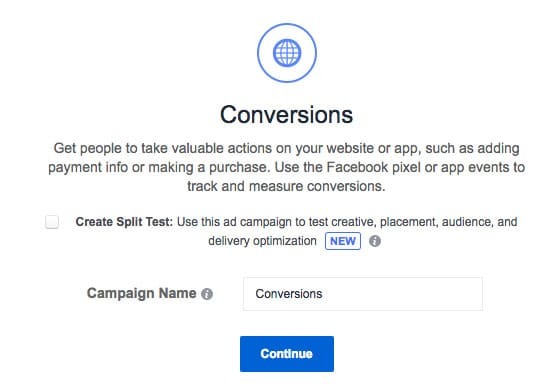 We suggest using a Campaign budget optimization feature for this where budgets will be optimized across ad sets maximizing the overall campaign performance. Create separate ad sets with Lookalike audiences of different sizes (Example: Ad Set 1 will have a Lookalike – 1%, Ad Set 2 will have a Lookalike 1-2%, and Ad Set 3 will have a Lookalike 2-3%). Tick off the Campaign budget optimization feature on the campaign level assigning either a daily or lifetime budget. You could also set bid controls on all of your ad sets. As always, pre-test different Lookalike audiences (their source and size) using Split Test campaigns. Only move the winners to your Evergreen campaigns with Campaign Budget Optimisation enabled. Common problem: They are not uploading enough CRM data into the Audiences and not leveraging lookalike audience build feature. Why it’s important: historically, lookalike audiences based on the CRM data tend to outperform lookalike audiences built off of other sources- pixel, website data. Your prospecting efforts (Top funnel campaigns) should start by looking for the people who are similar to your existing clients. How to fix: go to the “Audiences” tab and upload your client CRM data (use emails, phones, mobile user IDs). Then hit create a Lookalike audience and choose your similarity % and country. Want to get a free account check by our team? Feel free to reach out to us.